Jas. 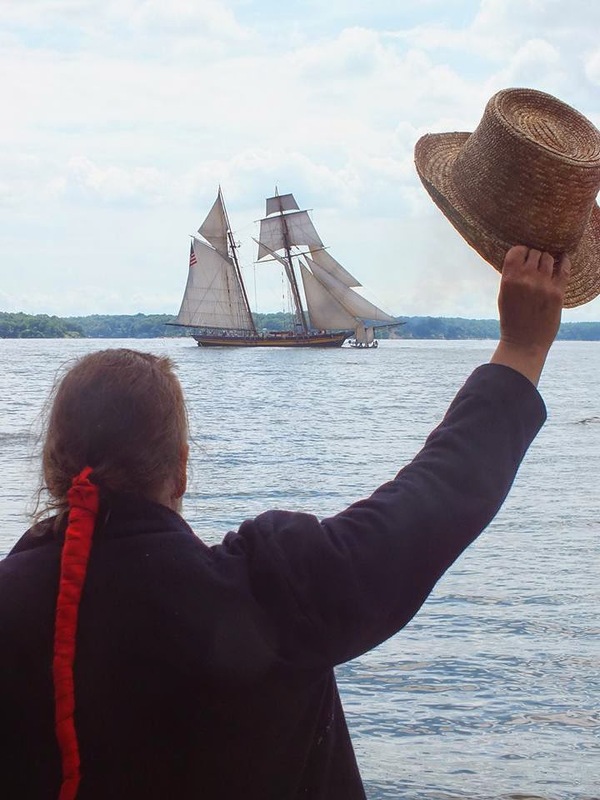 Apple waves across at a recently captured schooner. American schooner Prudence, captured by the Acasta, arrived at Halifax in July. 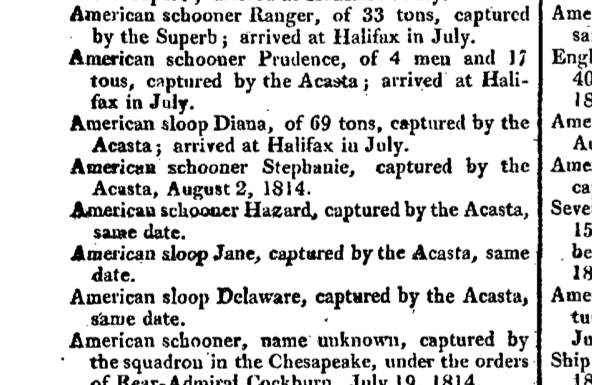 American sloop Diana, captured by the Acasta, arrived at Halifax same date.